Bottom Line: I loved it. Tonally, this is the Spider-Man movie we’ve been waiting for: a high school kid that looks and acts like a high school kid and is clearly in the rookie year of his superhero adventures, despite briefly dipping his head in the majors in Captain America: Civil War. While Spider-Man might have a high tech suit capable of amazing things thanks to Tony Stark, he’s still just a kid looking to help out around his borough and hoping not to be a loser at school, while waiting around hoping The Avengers come calling or he stumbles across something big. Tom Holland crushes the role. We got a glimpse that he might be the right actor for the job in Civil War but now there’s no doubt about it. Holland is charismatic and hilarious and does some great physical comedy in the film. I think it’s safe to say that we will be seeing him as Spider-Man for at least the next decade and that’s a very good thing. He is perfect for the job and it will be fun to watch him grow up with the character. The script in this movie was fantastic. I’ve heard people call it the funniest Marvel movie yet and maybe it is – it was basically nonstop laughs for two hours and all the jokes landed successfully. Michael Keaton plays Spidey nemesis Adrian Toomes, a.k.a. The Vulture, and, as expected, does a great job, bringing an everyday person element to the character that is usually missing from comic book villains. Toomes is a regular guy whose company strikes a huge deal to cleanup the aftermath of the first Avengers movie only to have a Tony Stark subdivision come in and take things over with little apology, despite Toomes pouring all his financial resources into the project. It’s a smart way to weave The Vulture into the MCU and screenwriters make some other genius decisions with this character as well. 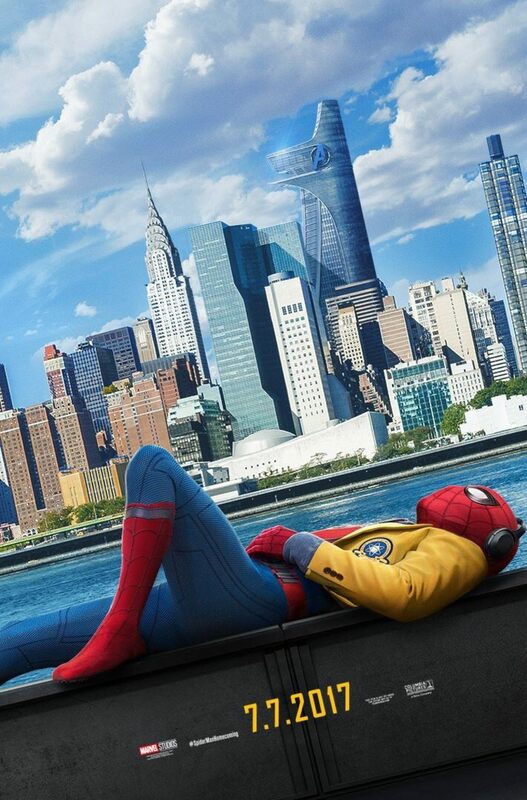 Spider-Man: Homecoming is exactly what you want from a Spider-Man movie: great action, lots of laughs, a charismatic and funny hero, and a formidable villain with some emotional resonance. The film works incredibly well considering it doesn’t introduce Spidey staples like Gwen Stacy, Mary Jane Watson, or Harry Osborn. Most movies, even when they are good, you still want to end at some point, but I could’ve watched Tom Holland play Spider-Man for several more hours and I’m really looking forward to more sequels and Avengers appearances in the future. Replay Value: I’d watch it again now and it will be a must own in my movie collection. Sequel Potential: Avengers: Infinity War is due out next year and a Spidey sequel is announced for 2019. Oscar Potential: Great performances from Holland and Keaton, but not really Oscar fare here. Of all the 2017 films I’ve seen so far, I’d give this one the edge in Visual Effects.